Planning a DIY hunt in Wyoming? Here is some private land that you can access free of charge. Amid the many challenges faced by a DIY out-of-state hunter, access to quality hunting land is one of the biggest. The countless hours spent pouring over printed topo maps and looking at every detail provided by digital platforms like the onX Hunting App get you excited for the hunt and provide valuable information on what the land will look like once you hit the field. But even with all that armchair scouting, you don’t actually know just how much of it you can access until you really get your boots on the ground. Although much of the land in the west is owned by the state or managed by the federal government, access is often quite limited. 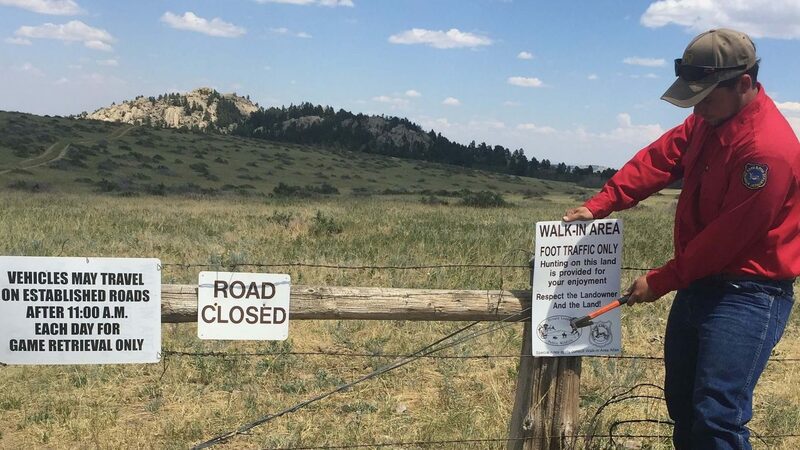 Not all state or federal land can be hunted, and often otherwise huntable public land is inaccessible due to being encircled completely by private property with no public access easement available. Some states though, such as Wyoming, offer incentive programs for private landowners to open up their property to hunters. 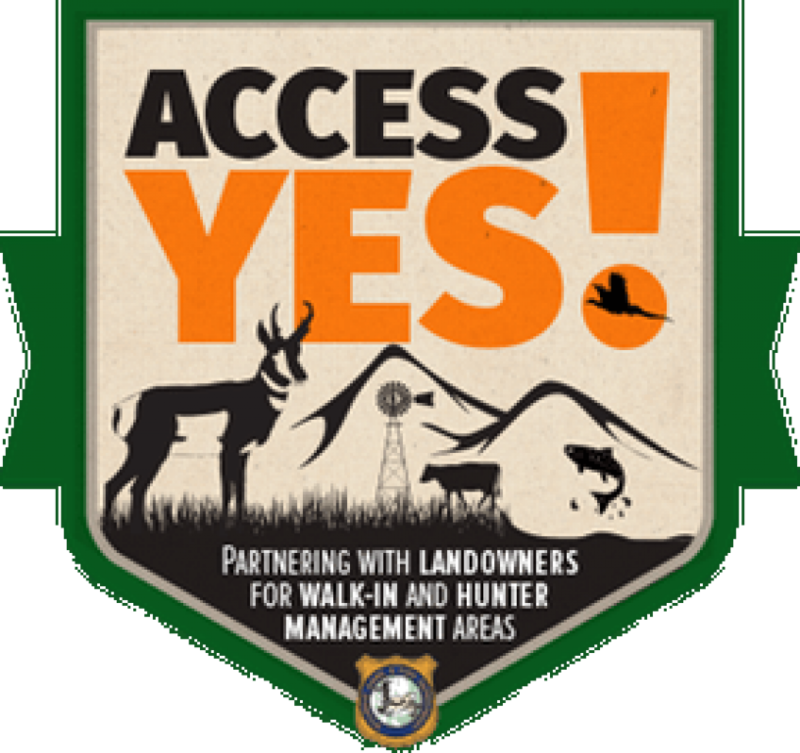 The Wyoming Game and Fish Department (WGFD) has the Access Yes! program (formally known as the Private Lands Public Wildlife Program) that compensates landowners for providing hunting access to their property. This has resulted in the opening of hundreds of thousands of acres of land that would otherwise be unavailable to most of us. 8700 Acres of private land now open to hunters. Source: onX Hunt App. Easy to draw and described as difficult public access, there is still over 30,000 acres of private land open to hunters through this program. While not exactly a secret, many folks don’t take these lands into consideration when planning their Wyoming hunt. The privately owned, but accessible properties are not shown on paper maps provided by the BLM, and are not figured into the total public land acreage that’s available in a given hunting unit. Units that might otherwise be labeled as “License types with difficult public access” on the permit application, may actually contain a lot more accessible land than a first glance would suggest. 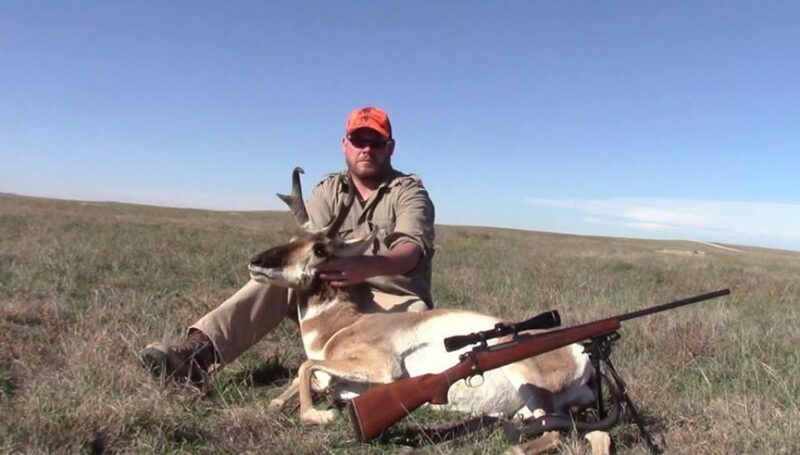 The pronghorn unit I often hunt in Wyoming is one of these. Easy to draw and described as difficult public access, there is still over 30,000 acres of private land open to hunters through this program. My father and I have each killed a nice pronghorn buck for the last 3 years in this unit on DIY hunts. Wyoming Pronghorn shot on a WIA in 2016. Photo courtesy of author. There are three programs within Access Yes! that hunters will want to focus on. Each has its own rules and regulations so it’s important to know the difference between them. 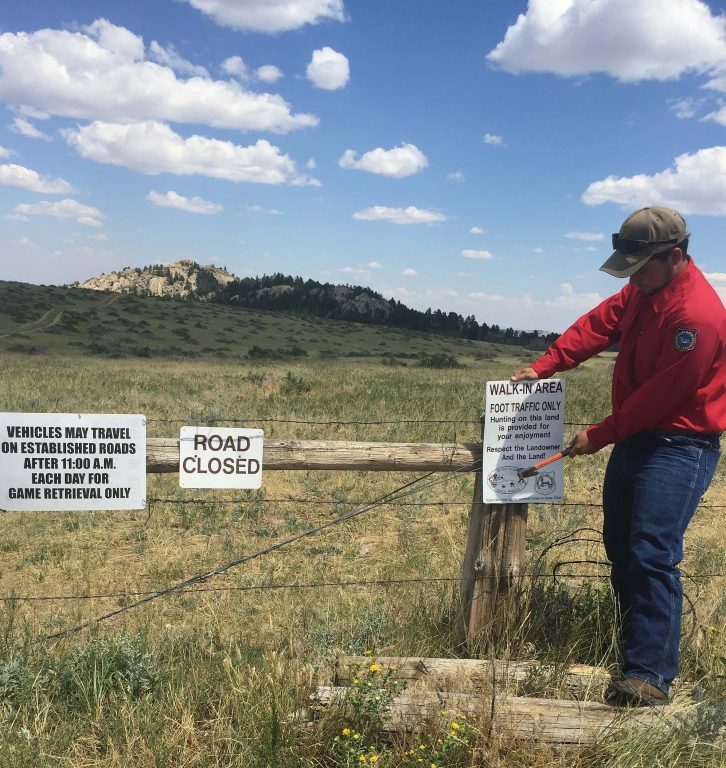 Property entered into the Hunter Management Program can be a combination of private, state trust and federal lands that lie within the boundaries of a privately held ranch. As a collective, these properties are called Hunter Management Areas (HMAs). HMAs are open for hunting only during specific times of year, and for specific species. To gain access to a HMA, you must have a printed permission slip from the WGFD for that specific area. Applications are typically available in July, and can be found at the programs website. Lands enrolled as Walk-in Areas (WIAs) are properties where the landowner has an agreement to allow hunting. Hunters are not required to seek permission from the landowner to hunt, as long as they are hunting approved species during approved access times. All properties enrolled in the program have signs that mark the boundaries. Access is almost exclusively by foot traffic only. This represents a huge opportunity for the hunter in an area with limited public access and who wishes to get away from the throngs of hunters who never wander more than half a mile from the road. Maps of Wyoming’s WIA locations can be found here. This program is for landowners who does not want to participate in the other access programs, but are still open to allowing a limited number of hunters on their property to help control wildlife populations that may be causing damage to agricultural products. Even though the property is enrolled in the program, landowners may still charge a fee for access and have additional rules for hunters to follow while on their property. To gain access to these properties, hunters need to contact the landowner directly. Contact information can be found at the WFGD’s Hunter Assistance Program website. One of the best things about the Access Yes! program is that funding comes largely from donations made by hunters when purchasing licenses. The donations are used strictly for increasing public access, and do not contribute to state salaries, purchasing new equipment or paying for other state expenses. The funds only goes to ensuring more access for hunters. By all accounts the program has been hugely successful, with more landowners wishing to enroll than there is money available for compensation. According to the WFGD, if every hunter donated one dollar for every license they apply for, the budget for the program would double and on the average, each dollar donated opens of 3.5 additional acres for hunters. So the next time you are planning a hunt in Wyoming, don’t forget to check out land enrolled in the Access Yes! programs. While applying for your tags, do the rest of us hunters a solid, and kick in a dollar or two. There are a lot more acres out there for us to hunt.